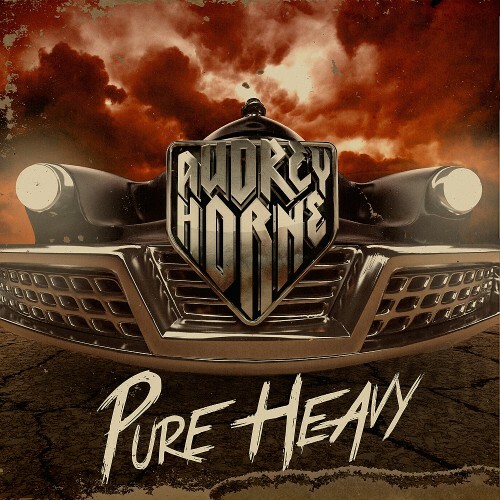 AUDREY HORNE- “PURE HEAVY” – AVAILABLE ON NAPALM RECORDS. Audrey Horne was formed late in 2002 in Bergen Norway by Toschie and includes members of Sahg, Enslaved and Gorgoroth. Audrey Horne, although a different type of metal band from the other bands mentioned, is every bit the quality act you’ve come to expect to emerge from this area, and they pack a powerful punch! “ Pure Heavy” is the follow up album to the incredible “ Youngblood” and they don’t disappoint. Anyone who is familiar with their previous offering “Youngblood” would agree that it is a hard act to follow but follow it they did with “Pure Heavy” which contains excellent guitar work throughout. From the opening strains of “Wolf In My Heart” to the dying notes of “Boy Wonder” I thought I had entered a time machine and was brought back to the early 80’s when I first heard Van Halen, Thin Lizzy and AC/DC. Oh the flashbacks of those amazing days when bands really rocked our world and reminded me how heavy metal should really sound; bluesy, pounding and pumping, with vocals to match and guitar solos that will have you power-sliding across the floor whilst playing your air guitar! This is an album that has a feel good vibe running through its arteries due to the fantastic musicianship and amazing song writing created by a band that keeps all the old values but can never be accused of standing still. Stand out tracks for me are ‘Holy Roller’, ‘Out of the City’, ‘High and Dry’ and ‘Waiting for the Night’. Audrey Horne have excelled with “Pure Heavy” and rejuvenated this old rocker. “Pure Heavy” is the elixir of youth and I strongly recommend you all to acquire this magical potion as soon as possible.